With the exception of the overflow motel rooms for families, every type of facility was operating above the standard 90%. Cathy Crowe, street nurse and Visiting Practitioner at Ryerson University, was there when Toronto City Council voted on 90% shelter occupancy as the maximum threshold. Crowe said that response drove city council to pass a motion saying shelter occupancy should not pass 90%. Crowe notes further the city’s data is conservative. The effects can be seen in video shot Jan. 19 in three large locations across the city, obtained by PressProgress and view-able, in full, below. “It very much is like a scene after a natural disaster,” Crowe remarked to PressProgress. “It’s very crowded. I think the thing that shocked me the most at all three locations is the number of people with wheelchairs and walkers. You see very old people and very young people. And you see people who are quite ill,” Crowe told PressProgress. “In one facility we see two toilets out of order, two operational, for a facility of 100. You see people very close together and taped lines on the floor showing the amount of space each person is allocated and people having to keep their belongings on their cot because there are no storage facilities,” Crowe said. Lest we think the conditions seen in the video are unrepresentative of the whole, Rankin says this is a common reality in Toronto’s almost universally overcrowded shelters. “People have no privacy. They are packed like sardines, shoulder-to-shoulder. Their things go missing and they are coughing and sneezing on each other. People get respiratory illnesses, tuberculosis, bed bugs and more. They are packed in and forced together and it is dehumanizing,” Rankin told PressProgress. 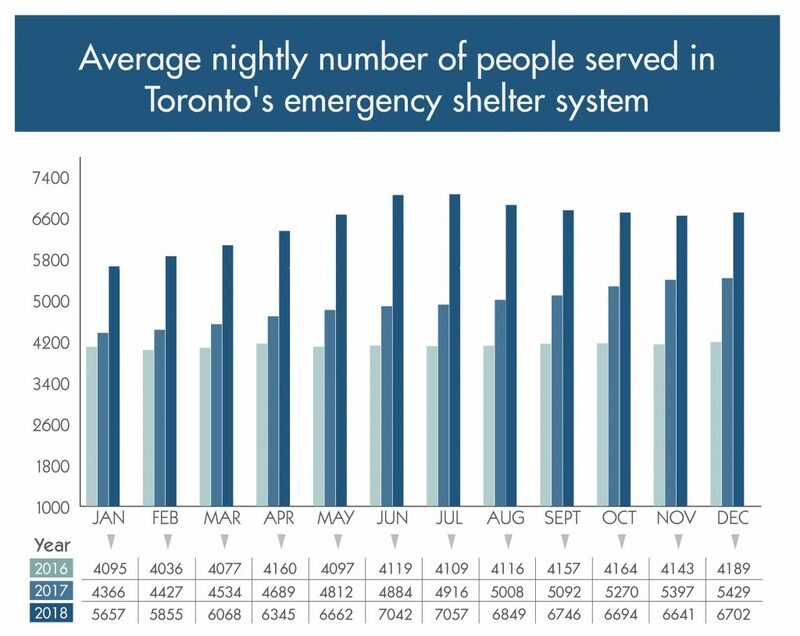 The city’s data shows that, on Jan. 23, most of the city’s nine respite sites was full, while both its drop-in centres operated at, in one case, and above, in another, capacity. This week, city council heard four homeless people have died so far this month. Crowe told PressProgress another two are likely to be confirmed. City data shows that from January 2017-June 2018, the last month for which data is available, around 145 homeless people died in Toronto. Advocates have been pushing for data from the last six months to be released but Crowe notes even the startling 140 figure is probably conservative, judging by the names on the Toronto homeless memorial and the fact that hospitals don’t generally report which of its patients are homeless. Advocates have been pushing for the city to declare homelessness in Toronto a state of emergency. That would require the mayor take action and report it back to council within 24 hours, the Globe and Mail noted. “You can attribute all of the deaths to homelessness. I’ve never had a patient die of old age. The average death age is between 49-58. That’s not normal,” Crowe told PressProgress. 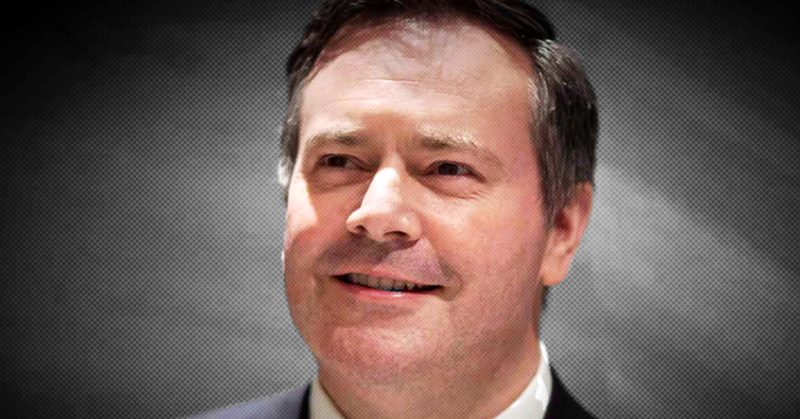 “We have a very wealthy and prosperous country and yet we leave these people,” Rankin said. Toronto has, according to the Fred Victor Centre, around 9,000 people who are homeless. Though a large number, it is not so large for a city which, the Huffington Post noted, has enough empty homes for over 100,000 people. "It sounds, in a way ... communistic."